as a fountainhead of innovative human enterprise, with inspirational initiatives for Academic Excellence"
Clearly defined admission process and streamlined methodologies, complying with local University and statutory regulations, a firm adherence to quality process. Every student's journey is unique, and we consider it our moral obligation to ensure you enjoy many opportunities to stretch and grow throughout your time here.To achieve this, we offer a diverse range of programs and services clustered as follows: Information, Guidance, Community, and Experiences. Our exceptionally skilled team collaborates with faculty, staff, students, community partners, and alumni to design and deliver international academic programs, resources and services that support you to achieve your goals, thrive in your academic pursuits, develop lasting friendships, and expand your knowledge, skills and abilities. 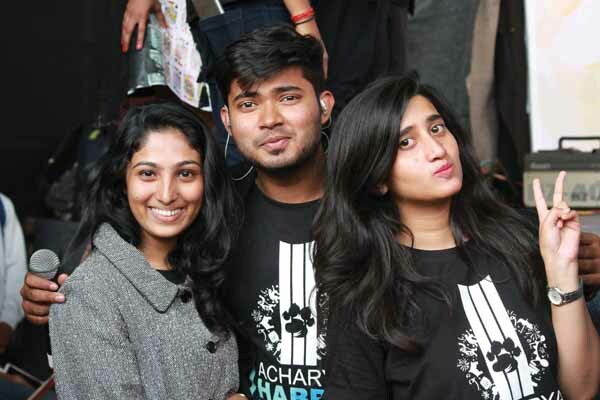 However, our greatest source of pride remains the students and alumni who connect with us years after graduation to apprise us how important their experience at Acharya was, and the role that we played in supporting them to pursue their passions and live lives of purpose. 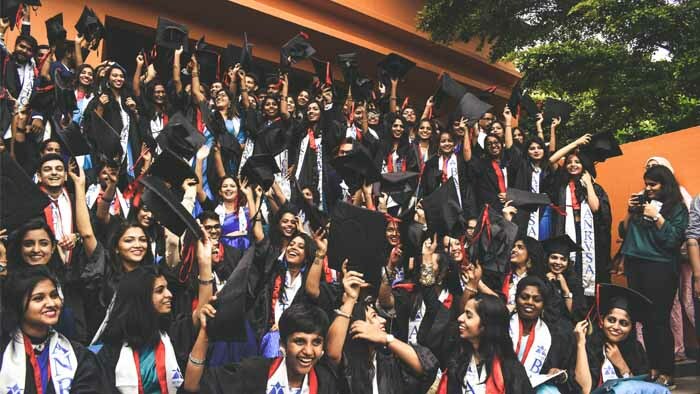 In our 29th years we at Acharya Institutes, Bangalore, are proud to remain the choice of students from around the world. We cater to 12,000 students from 70+ countries. Acharya Institutes is deeply committed to enriching diversity through continuous efforts to cultivate a welcoming campus climate for all members of Acharya. At Acharya, the concern for the environment is deeply rooted in design, through extensive afforestation of land, rainwater harvesting, the creation of a 4-acre artificial lake, water treatment, alternative energy sources, the ban on use of substances that are not environment-friendly, etc. Rest assured, the serene environs here have a soothing effect on the students and provide them with the perfect setting to contemplate and reflect. To begin with, the housing (hostel) facilities are made as ‘homely’ as possible. With choices of single/sharing furnished occupancies with or without kitchenettes, they also come with need-based specific facilities at reasonable usage charges. The life at the hostel is an extension of the academic pursuit of the student. It helps them grow with a proper mix of care, discipline and personal space under the supervision of a warden. The large capacity laundromat, state-of-the-art kitchen, back-up electric power, solar powered energy, purified drinking water, WiFi connectivity, in-campus medical and ambulance facility ensure a hassle-free life for the students. Sports play an integral role in education as it teaches the qualities of teamwork, leadership, tolerance, determination, etc., and at the same time helps the students remain physically fit. At Acharya, fully-fledged outdoor sports facilities including basketball, football, volleyball, archery, gymnasium, horse riding, cricket, table tennis, track and field sports, etc., with qualified coaches and instructors are provided to assist our students maintain a sound mind and body. The Acharya campus boasts innumerable facilities for gathering of students for seminars, workshops, presentations, interaction and much more. These include the central auditorium, conference halls, board rooms, discussion rooms, etc., spread across the campus. 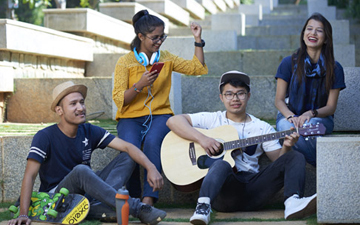 Cultural activities, music programmes, theatre workshops, friendly competitions, adventure camps, food courts, weekend outings, yoga, meditation, etc., also form a part of our students’ invigorating campus life experience. The presence of top-notch industries and corporates around the location of Acharya Institutes brings with it numerous benefits and opportunities for the students. Acharya’s MOUs with corporates like Infosys, Wipro, Mahindra & Mahindra, Sasken, etc., facilitates technical training, knowledge transfer, research projects and placements. An added-opportunity that Acharya's students enjoy are the regular invitations to various tech-competitions conducted by eminent industries in which, over the years, our students have consistently topped and won accolades. 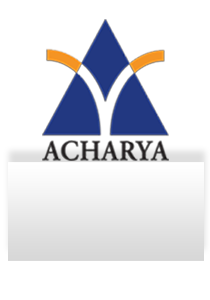 Acharya’s Technology Business Incubator supports the establishment and growth of technology based start up companies and other compatible technology interventions. The Incubator provides an end-to-end cutting edge ecosystem that supports new and emerging technology ventures and enhance their likelihood of success. The incubator renders necessary infrastructure, financial support, business advisories, mentorship, legal assistance, product development, networking, commercialisation, protection of intellectual properties, insurance and tax administration resulting in strategic alliances. By virtue of research inquisitiveness, the involvement of the faculty in the technology driven start-ups will reinforce teaching and research, strengthen linkages between education and industry. 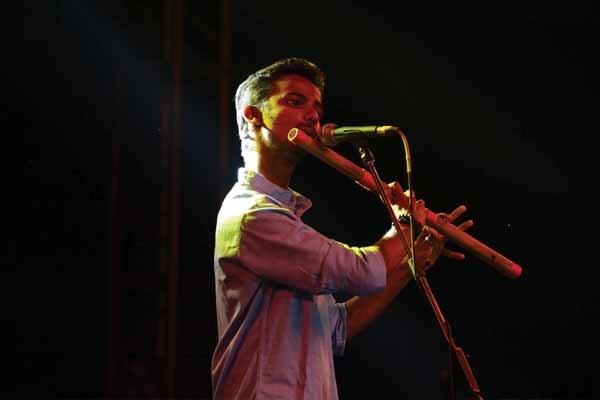 Acharya Habba is the annual techno-cultural fest organized by Acharya Institutes, Bangalore. 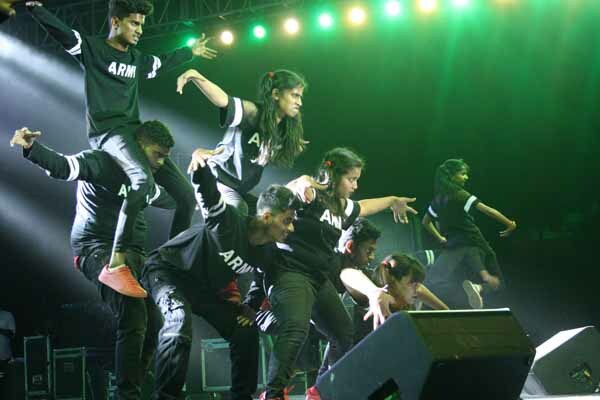 Spanning over a duration of a month, it draw about 25000+ students from more than 300 colleges across Karnataka, with 60+ events taking place at the venue. Acharya’s academic excellence is the product of its celebrated faculty-recognised as scholars, teachers, artists, and innovators. Acharya places special value on the diversity of knowledge among its faculty who increasingly apply a depth of expertise in their fields to interdisciplinary challenges that cross traditional academic boundaries. We are committed to making life at Acharya an international experience - no matter where you are from. 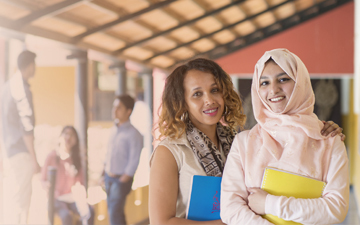 Not only are we proud to welcome more international students than any other institution, but our diversity offers invaluable opportunities for you to develop, grow and become globally minded, socially responsible individuals - strengthening your value to potential employers. You will socialise with students from across the globe and absorb valuable cultural lessons, while your studies will be influenced by our international scope. 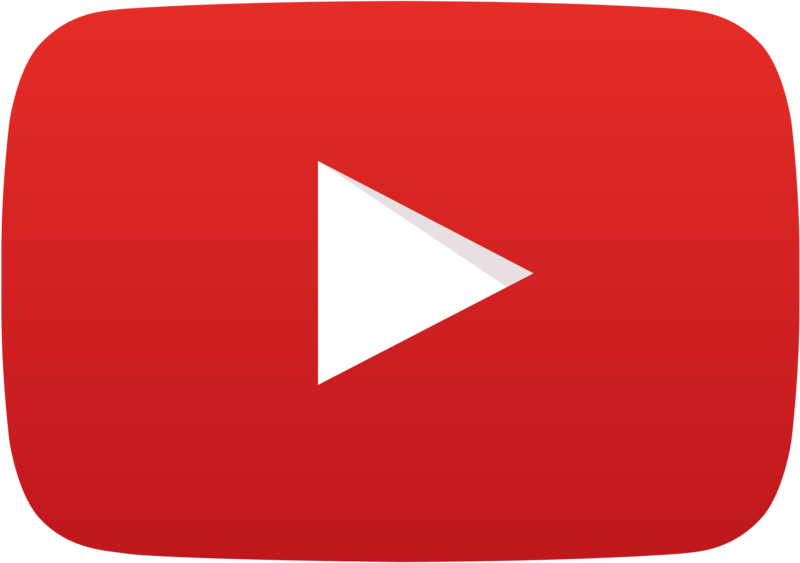 Intensely knowledge-centric, Acharya regularly sees interaction with experts from academia, corporations, research organizations and thought leaders. 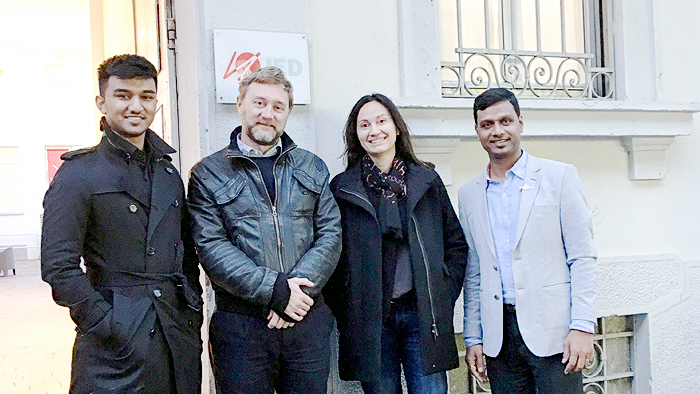 Innumerable collaborative efforts ensure these knowledge exchanges are constant and exciting. Industrial visits, student exchange programs, consultancy, research, project work, competitions and paper submissions in national and international seminars and workshops ignite the academic passion of every Acharyan. Because, what is learning without celebrations? 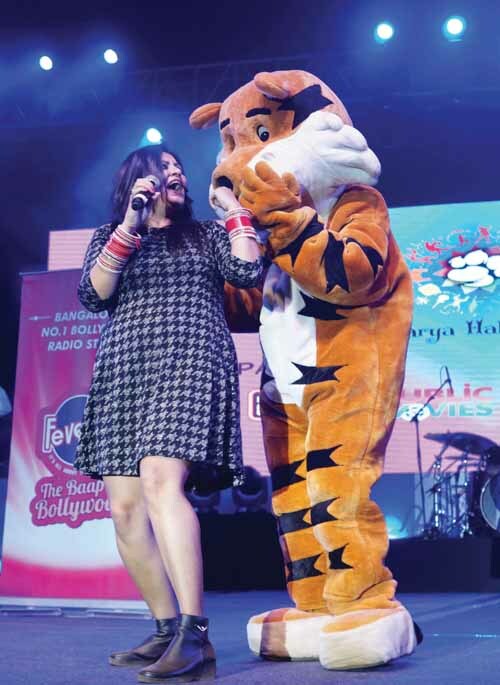 At Acharya, we present the perfect platform for all-out fun and jamboree in the form of Acharya Habba – a 3-day annual techno-cultural fest organised by Acharya Institutes, Bangalore. 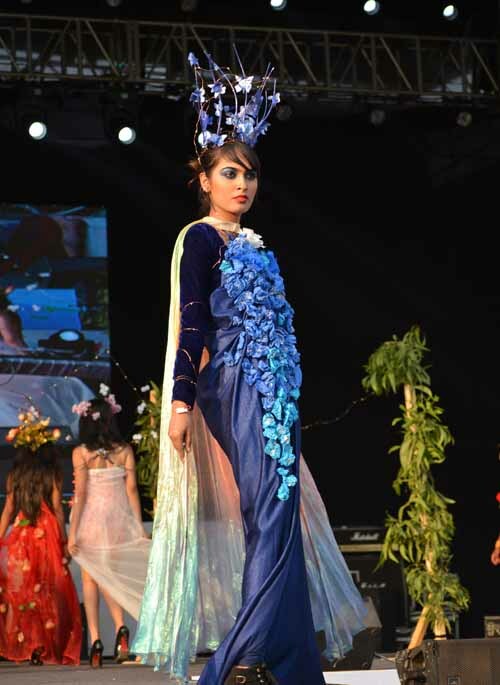 It draws about 25,000+ students from more than 300 colleges across Karnataka, with 50+ events taking place at the venue. Every year select 80 to 100 students get the advantage of corporate exposure being Volunteer Coordinators for Placement. 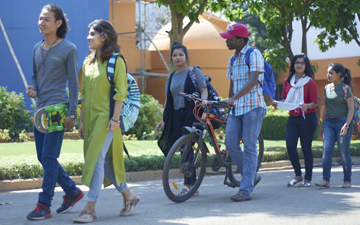 200+ corporates visit the campus year after year and recruit students from every academic stream in the campus. There has been a consistent increase in salaries offered which has gone up to Rs.21.00 lakhs per annum recently.